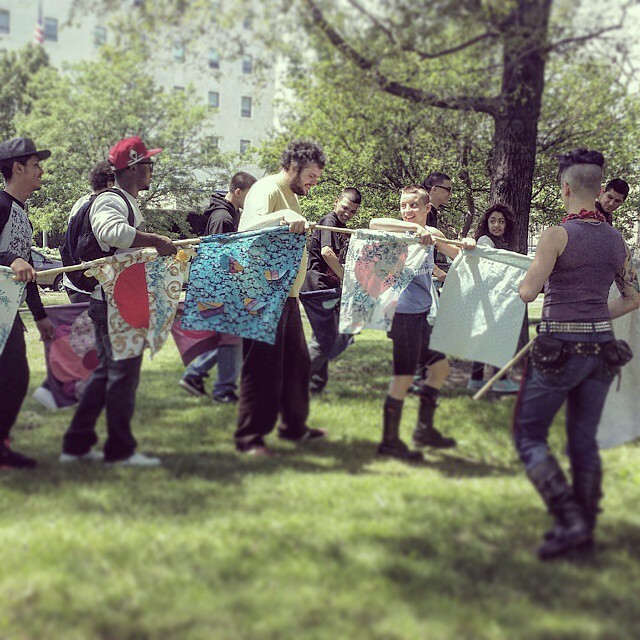 is a neighborhood-based public art organization that partners with community organizations and individuals to create free, multidisciplinary, highly-participatory arts events. 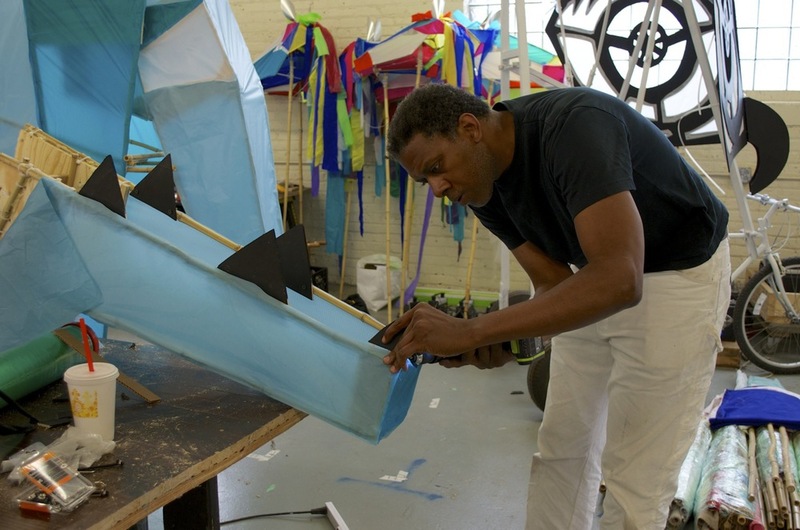 The Opera-Matic mission is focused on building community resilience by empowering neighborhoods with creative play. We do this to amplify community voices, to lift up shared resources, and to model participation in social change. Our vision is that people everywhere will find and create, in their own neighborhoods, opportunities for joyful civic engagement. Opera-Matic calls Humboldt Park, Chicago, home. The majority of our public engagements are within walking, singing and hollering distance from our studio at the Kimball Arts Center. We like to create happy moments of connection within our neighborhood, calling attention to each other and the good things we share. Opera-Matic establishes partnerships within the immediate community. 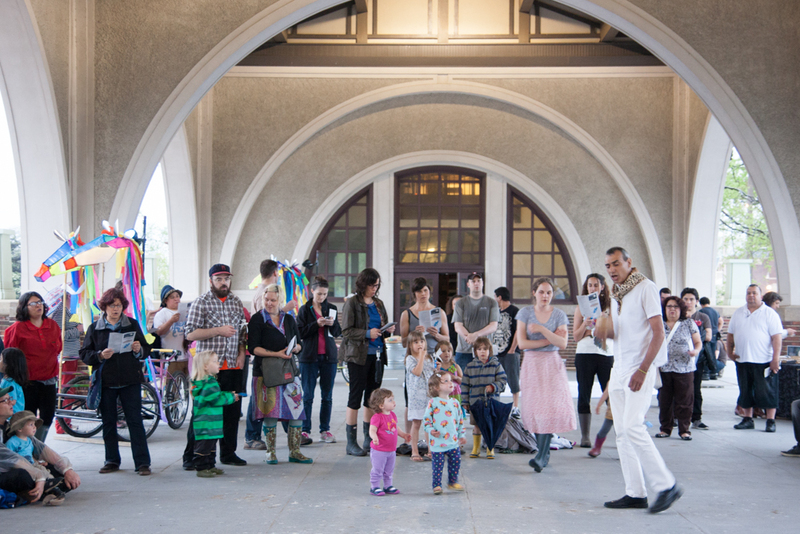 Together we host community events and rehearsals open to the public. These relationships are on-going and long-term. We all become familiar with each other’s processes and build a common experience. 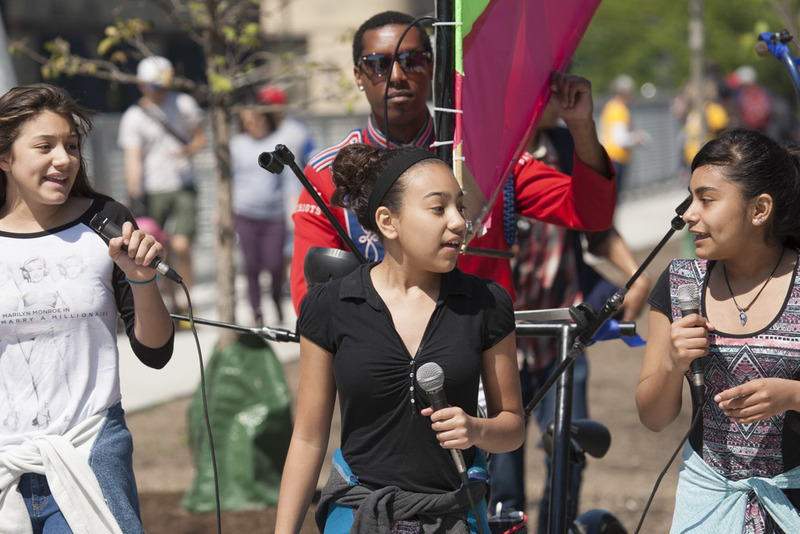 Opera-Matic helped celebrate and set the tone at the opening of Chicago’s new park, the 606 Bloomingdale Trail. The park cuts through four neighborhoods and is an innovation in shared public space. More about the opening here and here. 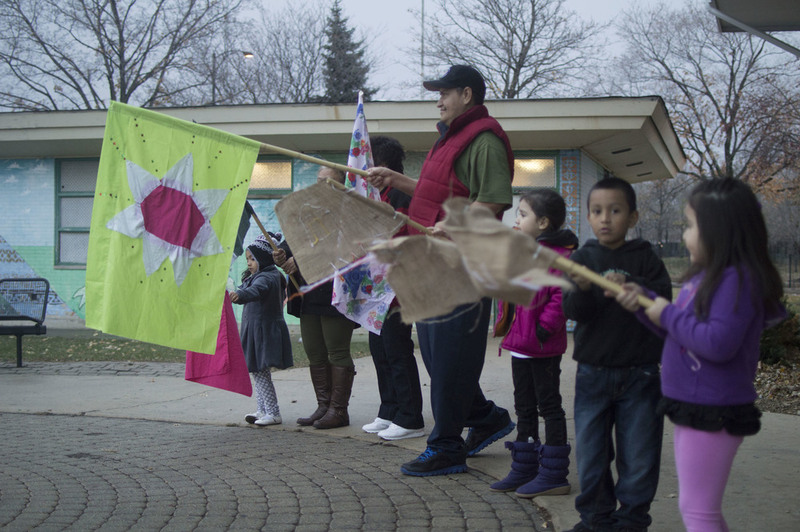 Making the story as we go at Association House parade workshop; and learning stories told through song with Conjunto Maniqua, The Sing Song Project, and Ami Sariaya at the lullaby practice in Humboldt Park. Heavy-duty cargo bikes are used here as a base for parade floats. The sculptures made with bamboo frames are skinned with remnants of spinnaker material donated by a sail making company. Singing to plants - The Bee Song, The Sacred Fig Tree, The Guiana Chestnut Rap, The Sugar Maker Plant Chant, Slow Goes The Saguaro, The Worm Song and more - new song commissions by local poets and musicians; and an exercise in coordinated effort carrying a giant caterpillar at Garfield Park Conservatory. Partnering with the Mozart Elementary School Parent Mentors we celebrated our park and each other through movement and play at Mozart Park. And working with Arts Communities Engaging Students (ACES) helped to build an after-school music program at McAuliffe Elementary. 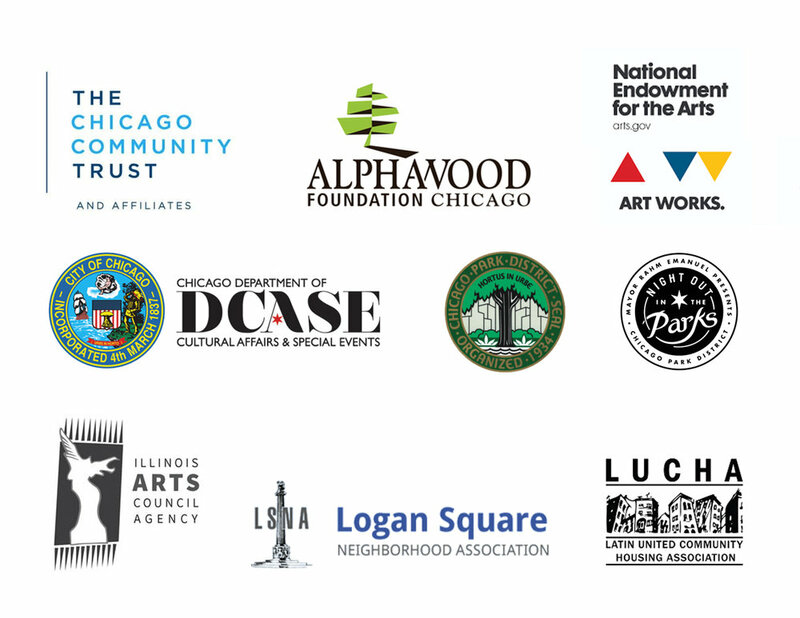 We would like to thank The Alphawood Foundation, The Chicago Community Trust, Chicago Department of Cultural Affairs, Chicago Parks Department, Brown Family Foundation, and the Illinois Arts Council, a state agency for support. This program partially supported by a grant from the Illinois Arts Council, a state agency, by a CityArts Grant from the City of Chicago Department of Cultural Affairs & Special Events, and by the National Endowment of the Arts through its Art Works program.